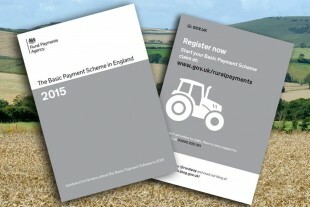 The Basic Payment Scheme handbook was published yesterday (Tuesday 24 February) and provides farmers with the information they need to make their claim. The handbook, which can be found on GOV.UK, draws together and updates the information previously released in the CAP Reform leaflets. It covers who can claim; what farmers need to know before they can claim; and what they need to grow and do on their land. There is also a chapter about applying online using Rural Payments. It will be sent to those farmers with a registered e-mail address later this week. Hard copies will be posted to all farmers who meet the minimum claim size requirements of BPS (five entitlements and five hectares of land) in early March. Farmers are advised to read the handbook in full as some guidance has changed since the publication of the leaflets and some areas are now explained in more detail. This Blog appears to be rather useless!! Today is 10th March and I have just had an email refering me to this Blog the latest posting to which is dated 25th February. Is that supposed to be current? Come on Government this is not acceptable. If you want the farming industry to embrace e-communication then you must do your bit and make the system more current! PLEASE !! 3 issues with the latest booklet that need some clarification please. 1. The list of crops for greening, under the pea section does not contain blue peas, are the peas you've listed just some examples ? or is every pea in the pisum genus ok? It may be that 'feed pea' covers this issue but please clarify. 2. Also in the list for onions you have a genus for 'llium',I think this should be Allium. 3. Lastly, in the 'key dates' page 6,you have dates 1st May to 30th June for planting nitrogen fixing crops, it does read a little like you can't plant before 1st of May, 99% of these crops will planted in March or April, just wondered what the reason is for starting it at May 1st?